14 Şubat 2019 Perşembe 11:00 - 3 reads. 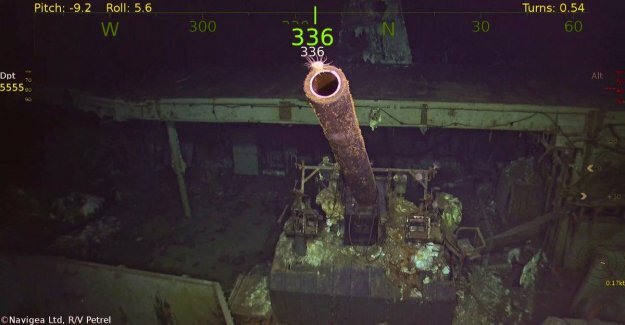 Off the coast of the solomon Islands in the Pacific Ocean is at a depth of almost 5.300 meters the wreck was discovered by the legendary American aircraft carrier USS Hornet, which was sunk in 1942, during the Second world War. The USS Hornet was the watery grave of more than 100 soldiers. The warship played a major role in the first American air raid on Japan during the Second world War. The USS Hornet, that in december 1940 the water was left, played a pivotal role during the legendary Doolittle Raid on Japan in april 1942. The air strike was conceived as a retaliation in the aftermath of the attack on Pearl Harbor was the first attack on Japan by American planes. The USS Hornet was in the raid up to a thousand kilometres from the Japanese coast boating and sixteen bombers launch. The aircraft carrier was also involved in the Battle of Midway in June 1942 where the U.s. navy and the Japanese fleet a crushing defeat dealt. The battle is by historians considered to be a turning point in the war in the pacific.